* Typically when a traditional broker discounts a commission the selling side or co-broke commission is discounted proportionately. This is not a good thing when the agent working with the buyer and who does the majority of the work is paid even less. On a 5% commission the typical co-broke commission is 1.75%. ** Typical range paid at closing. * Paid upfront and if you are not fully satisfied cancel your listing contract in the first 30 days for a full refund. ** If you find the buyer for your property and another broker has not established agency or procuring cause with the buyer just bring the buyer to us and your commission upon closing will be 2%. ** You have the right to set the amount of commission paid to the Selling Side Broker/Agent. 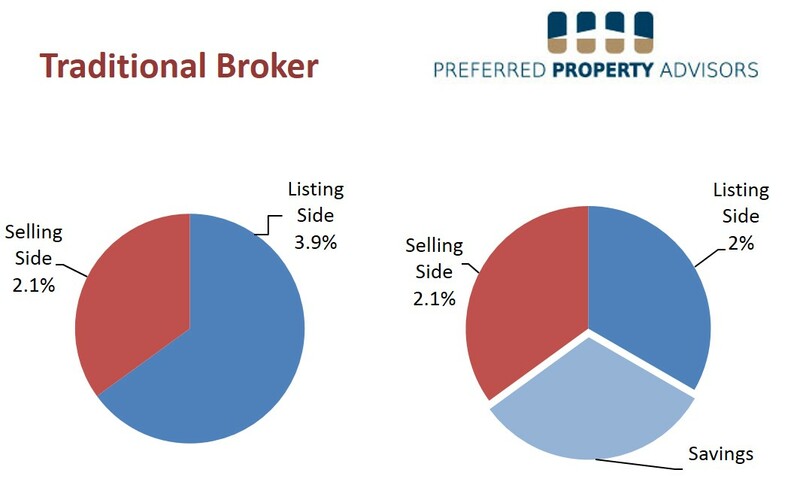 In the Green Bay market 2.1% is the typical co-broke commission. Appleton and south 2.4% is typical.